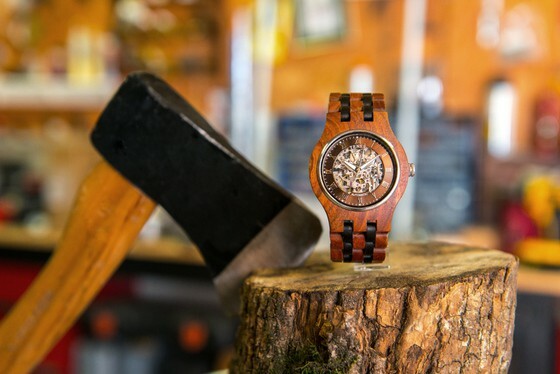 Tense Wooden Watches is a unisex brand and has many designs for men and women. Founded in 1971 and manufactured by hand in Vancouver, British Columbia, Canada Tense is the original wooden watch manufacturer. 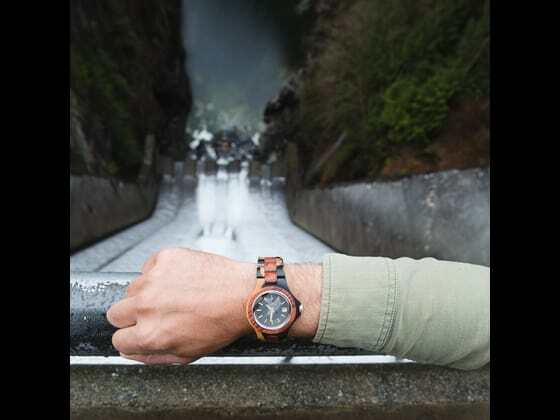 Each Tense watch begins with a watch face finely crafted of smooth recycled or reclaimed wood. A Tense watch crystal is held in the stainless steel case with a special glue formula that allows for the natural expansion and contraction of the wood and won’t warp in humid conditions. Every Tense watch uses a premium Swiss or Japanese watch movement and the Hybrid Collection is water resistant for the movement. Even though the watch movement in the Hybrid Collection may be water resistant, the wood case should not be submerged excessively in water. The wood actually will look more attractive the more it’s worn! The wood takes on a patina from the natural oils in our skin and many customers say the wood on the watch looks better with age! All Tense watches are finished with a fashion forward strap of smooth grain leather, wooden links, or wood and metal working together. Tense wooden watches are elegant but let rustic with a refined, sophisticated look for men and women. No matter which one you choose, your Tense watch is a statement piece, an art piece and a time piece. A Tense wooden watch is not boring in the board room, elegant at events, and fun for the weekend. Be fashionably on time.